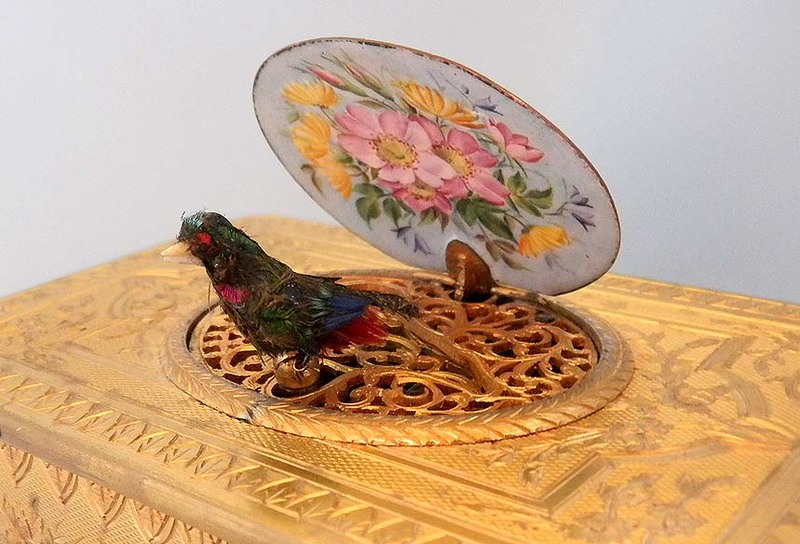 Fine probably French engraved gilt and painted enamel singing bird box circa 1890. 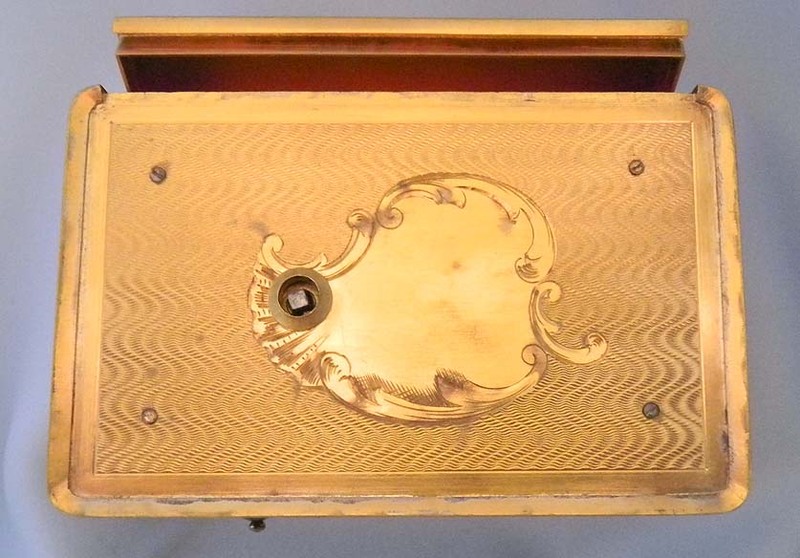 Finely engraved box with slide in the front to activate the automaton and a compartment in the back for the key. 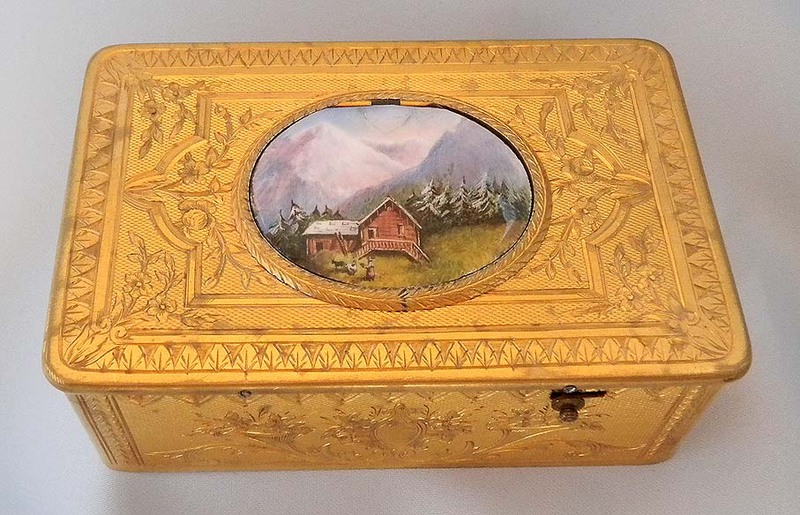 The painted enamel cover with a mountain cabin on the top and a bouquet underneath. Multicolored bird with bone beak. The pinned plate movement of an unusual design playing an untypical song. 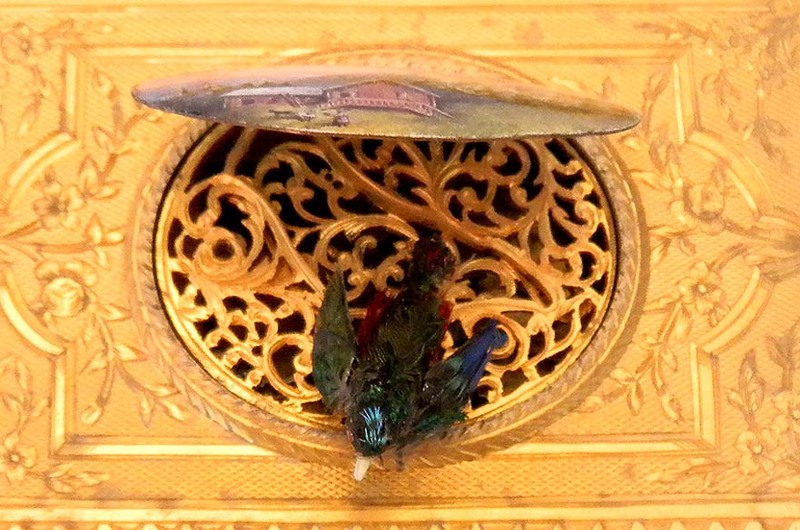 When the slide is activated the lid opens, the colorful feathered bird pops up and moves from side to side moving its beak,wings and tail in time with the lovely chirps produced by the internal bellows and tuned pipe. Then the bird drops back into the box and the lid closes automatically. Lovely example. Email for a video of the bird singing.